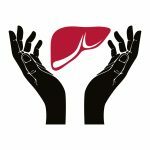 Improved Liver Evaluation Test Available in the U.S. The FDA gave FibroScan® the green light, an approval projected to drastically improve liver fibrosis testing. Liver biopsy stood its ground as the gold standard for assessing liver health for decades, but less-invasive options are available. As of 2013, America joined over 70 other countries in approving the use of FibroScan® to determine the presence and extent of liver damage. If you have reason for determining or monitoring liver fibrosis, make sure you know the pros and cons of the FibroScan® test. A liver biopsy is a diagnostic procedure where a needle is inserted into the liver to obtain a small amount of liver tissue. That sample is then examined under a microscope to determine the presence of and the degree of liver scarring (fibrosis). Although it is used for various other liver ailments, a liver biopsy is especially useful to evaluate patients with viral Hepatitis C or Hepatitis B in staging the disease and determining whether or not the person is a candidate for treatment. Despite its long reign as being the preferred liver diagnostic method, liver biopsy has a long list of disadvantages. is an invasive test because a hollow needle must pierce the skin and liver to retrieve a tissue sample. requires hospitalization for at least several hours. 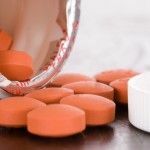 carries some risk such as pain and bleeding. does not provide immediate results because it requires the sample be sent to a lab. can yield sampling error, as the portion removed may not represent the entire liver. is open to different interpretation by different pathologists. Also called transient elastography, FibroScan® assesses liver stiffness without being invasive. Transient elastography is feasible because an increase in liver scarring increases tissue rigidity. By sending sound waves into the liver causing it to vibrate, the FibroScan® measures the shear wave velocity. This is accomplished by passing a 50-MHz wave into the liver from a small transducer on the end of an ultrasound probe. 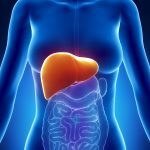 Although approved by the U.S. Food and Drug Administration (FDA) on April 5, 2013, FibroScan® has been the liver diagnostic tool of choice elsewhere for up to a decade. was introduced in the European market in 2003.
received market clearance in China in 2008.
received market clearance in Canada in 2009.
received market clearance in Brazil in 2010.
received market clearance in Japan in 2011. It is not painful and non-invasive, with the patient feeling just a slight vibration on their skin. The test takes less than ten minutes. It is much less expensive than liver biopsy. 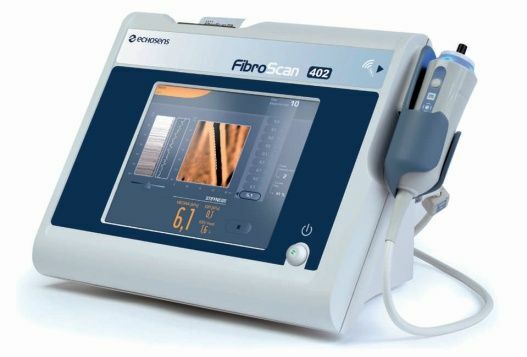 There have not been any side effects associated with FibroScan®. The procedure can be safely repeated as often as needed. FibroScan® is very accurate for staging those with no or minimal fibrosis and for advanced fibrosis or cirrhosis. It is not as accurate as needle biopsy for those with mid-level liver disease. It is not advised for patients with ascites, morbid obesity and/or large amounts of chest wall adiposity. Radiologic methods – Besides the FibroScan®, the most common radiologic liver stiffness test is magnetic resonance (MR) elastography. MR elastography delivers comparably accurate results, but it requires an MR image scan which is both costly and time-consuming. Unlike the FibroScan®, MR elastrography involves a separate appointment due to the specialized equipment needed. Serum Biomarker Tests – These blood tests measure biomarkers that are associated with fibrosis. The most common serum tests for staging liver fibrosis are HepaScore, FibroSure, the FIB-4 index and the European Liver Fibrosis test. Similarly, serum biomarker tests have demonstrated a comparable accuracy to the MR elastrography and the FibroScan®, but the blood samples usually have to be sent to a lab. Thus, the results are not instantaneous. Experts believe that serum biomarker tests and radiologic tests are not mutually exclusive; as many guidelines currently recommend combining the two types of testing. 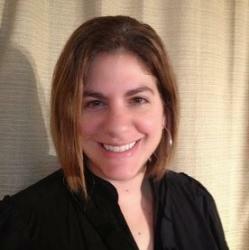 Admittedly, there are a few limitations to FibroScan® testing. However, the cost, time and comfort benefits of this non-invasive liver test are sure to transform the practice of hepatology – an advancement that U.S. clinicians can finally utilize. http://hepatitiscnewdrugs.blogspot.com/2013/10/newly-approved-ultrasound-device.html, Newly Approved Ultrasound Device Eliminates Risks and Pain of Liver Biopsy, Retrieved December 15, 2013, PRNewswire, 2013.
http://www.liver.ca/liver-disease/diagnosing-liver-disease/liver-biopsy.aspx, Liver Biopsy, Retrieved December 15, 2013, Canadian Liver Foundation, 2013.
http://www.ncbi.nlm.nih.gov/pmc/articles/PMC3594956/, Fibroscan (Transient Elastography) for the Measurement of Liver Fibrosis, Nezam H. Afdhal, MD, Retrieved December 10, 2013, Journal of Gastroenterology and Hepatology, September 2012.
http://www.prnewswire.com/news-releases/fda-approves-fibroscan-for-non-invasive-liver-diagnosis-203186961.html, FDA Approves Fibroscan® for Non-Invasive Liver Diagnosis, Retrieved December 10, 2013, PR Newswire Association, LLC, 2013.
http://www.wwlp.com/news/health/new-liver-scan, Dr. Frank McGeorge, Retrieved December 10, 2013, New Liver Scan, LIN Television Corporation, 2013.